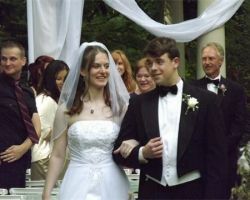 Nina Marie Weddings began when the owner and operator was asked to plan her daughter’s wedding in only four short months. After discovering her passion for planning beautiful ceremonies and intimate wedding receptions, Nina began the company and has since acted as a consultant and coordinator for over 300 weddings. The creativity and customer care from Nina is what makes each planning experience special and each event unique. This woman aims to please her clients, and does so in the most elegant and artistic way possible. 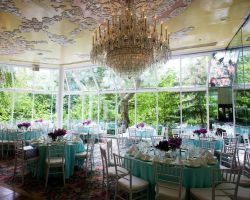 Having the extravagance of a celebrity wedding is possible when you hire Distant Event Planning to help you make it happen. This company is known for pulling off some of the most extravagant weddings and parties in Ohio and beyond. They can help you plan an intimate event or a large party. Whatever they do, it will always be sophisticated and luxurious. This planning company provides clients with a personal experience that they will love and will result in their dream wedding coming to life. Wedding Perfection is a company dedicated to providing couples with whatever services they need to make their wedding vision become a reality. They work closely with clients to ensure the event is true to the couple’s style. This, along with their impeccable attention to detail ensures the event’s success. 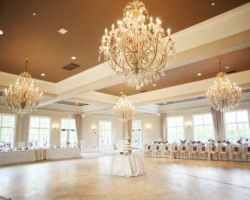 As wedding planners in Columbus, OH, the planners provide complete, partial and on the day wedding coordination based on the needs of each couple. Let this company help you plan an unforgettable wedding. Lauren Ryan Exclusive Weddings and Events became a company because the owner and team love creating an experience for their clients that they will never forget. With a specific passion for wedding planning, this company of certified wedding specialists knows how to make your dream wedding a reality. Their packages vary in price and involvement so they can help with and plan the aspects you feel you need assistance with. Whether you need to find a contemporary caterer or would like to custom make your decorations, this company can help with it all. Creating unforgettable moments and events is the main goal of Party Planners Plus. 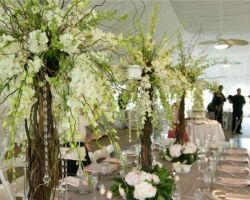 They work to create a beautiful setting and experience for you and your guests on your wedding day. The owners of this company, Michael and Nora work together on the business and creativity to better serve their clients. Whether you need help planning a destination wedding or simply making sure all of the details on your checklist have been figured out, this company can help you with it all. 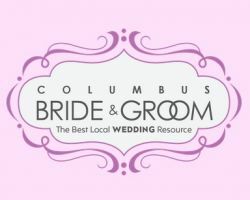 Columbus Bride & Groom is a unique wedding service that offers their extensive wedding industry knowledge to clients. Educating couples on the local vendors and prices is what this company does best. They act as a resource for clients. Rather than planning the entire thing, this relationship allows couples to make well-informed decisions on their own. As one of the top resources for couples, they have special relationships with the best vendors that they pass on to the couples that come to them. Hiring a wedding planner doesn’t only make your planning experience unforgettable, but it can also make it fun. Knowing that the experts are there to support your wedding vision and help make it a reality is reason enough to book the professional Columbus wedding planners at MMJ Weddings and Events. They offer options to plan and design the entire day or simply be an organizer on the big day, ensuring everything goes to plan. For a custom wedding experience, there is not a more personalized and caring company than this one. 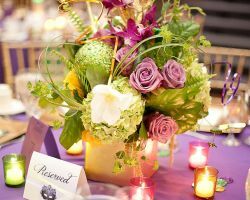 In central Ohio, Whimsy Weddings and Events is the premier planning company for all sophisticated and extravagant affairs. This company helps couples with every aspect of their big day while focusing on the details. This allows couples to enjoy the planning process and avoid any of the stress. They are consultants for the décor, the rentals, flowers, vendors, entertainment and more. With packages that offer their guidance or complete organization, couples can surely find an option to suit them and stay on budget as well.